“There is no amount of weed that will make this make sense,” said a college boyfriend a few minutes into the iconic 2000 anime FLCL. After 18 years, demented and amazing teen angst anime FLCL is getting two sequels, the first of which airs June 2. Its premiere episode is easy to watch and, disappointingly, a little sobering—not the kind of experience we might expect from its brain-breaking precursor. 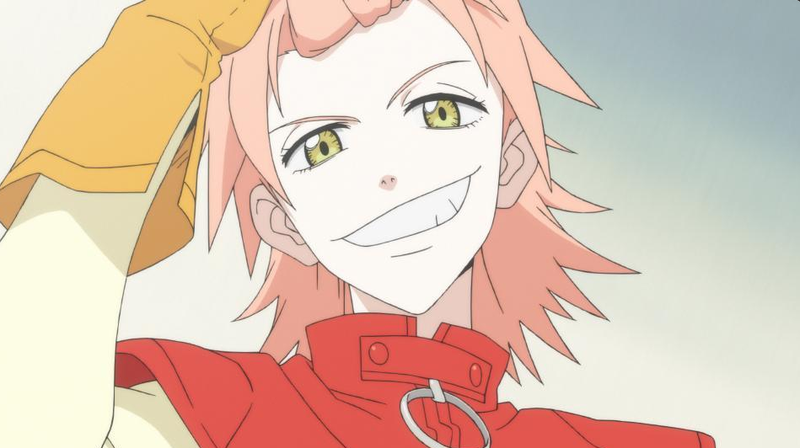 FLCL: Progressive starts airing on Adult Swim June 2. Its first episode is very good by 2018 standards, but didn’t feel much like FLCL’s edgy spiritual successor. Going into the preview, my optimism and excitement were tempered a little by the episode’s tropiness—something we see a lot in anime today, but didn’t as much back in 2000. Years after the events in FLCL, a girl wearing glowing cat ear headphones (the kind otaku gamers might wear) walks through a crumbling black and white city. There’s a red horn on her head, reminiscent of Naota’s, which spurts out mechanica. The girl, Hidomi, is an antisocial high-schooler with a too-peppy mom, who refers to her daughter as a “tsundere,” a self-aware anime trope describing cold girls. Unlike FLCL, FLCL: Progressive’s writing isn’t striking until we encounter Hidomi’s teacher, who monologues about the depraved, valueless youth in her classroom. Other than that, the dialogue felt in line with other modern, crowd-pleasing anime: driven by character types. Without revealing too much, I can say that some of the big moments in the episode were predictable, while watching 2000’s FLCL felt like riding a roller coaster along Heisenberg’s uncertainty principle. Thankfully, FLCL: Progressive’s soundtrack doesn’t let down. The Pillows returned with their delightfully grungy alt-rock and it brings back all sorts of teen feelings like “nothing matters” and also “everything keeps mattering so much.” In the episode’s killer action scenes, that soundtrack got high-octane and even a little metal. FLCL: Progressive’s first episode kind of made sense. I didn’t feel like I was swimming under a tidal wave of adolescent weirdness. It was a good preview, but felt a little more normie than FLCL. Nobody needs to do drugs to get it. Hopefully, the next few episodes will change that.